Motherhood, green parenting, art, DIY, life as a latina; my life. 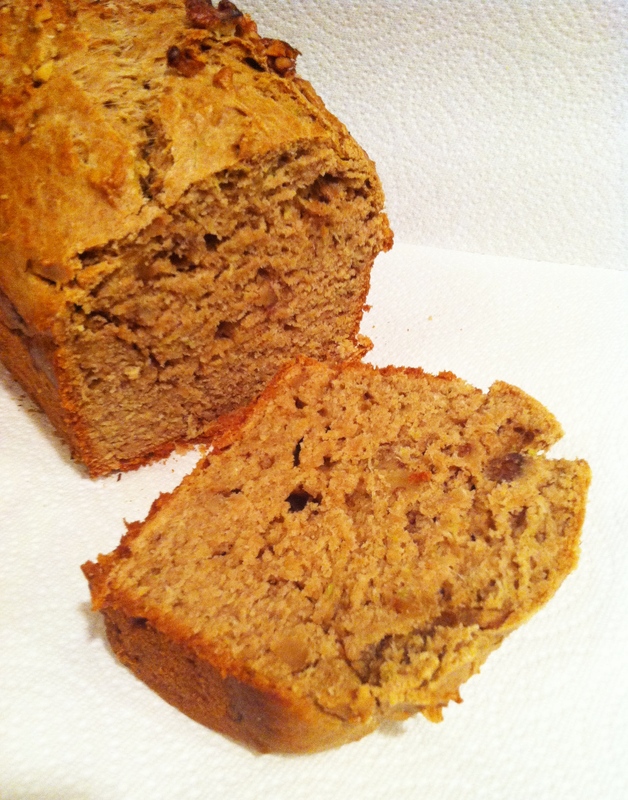 So far every week my CSA has included few zucchini in the box, this week I made the hearty breakfast bread with them. Lightly grease loaf pan or muffin tin. In a large bowl, beat together the eggs, oil, vanilla, and sugar. Fold in the zucchini. Beat in the flour, salt, baking powder and soda and cinnamon. Transfer to pan of your choice. For a loaf bake 50 min. In muffin tin 15-20 min or until toothpick inserted comes out clean. Cool and then turn out onto wire racks. Looks delish, I love zucchini bread!